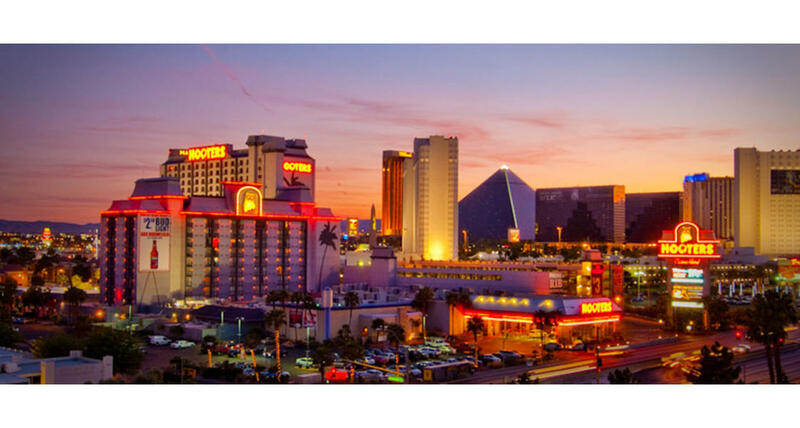 Hooters Casino Hotel features contemporary rooms, outfitted with down comforters and pillows, high thread-count sheets and pillow-top mattresses to make even the most inexpensive stay a comfortable one. The rooms and hotel are decorated with a Florida casual style and offer all the amenities one would expect. For a little extra, guests can splurge for a suite offering even more entertaining room - some even feature a private whirlpool spa, pool table, and more! The hotel is home to the world-famous chicken wings of the Hooters Restaurant & Saloon (and of course their friendly and beautiful servers) features a sports bar to watch all the big games, and a place to relax and gossip with their friends. For a relaxing day, be sure to check out the Hooters Pool and Porch area with private cabanas,and sandy beaches. The pool bar is open all day for frosty beverages and tropical drinks. The 30,000 square foot "Hooters"-themed casino floor offers state-of-the-art slot and video poker machines and table games.